#2216 A challenging response to the Bestselling Novel. What is Fact? What is Fiction? With these startling words, The Da Vinci Code—author Dan Brown’s megaselling thriller— kicks you into high gear. After 454 nonstop pages, you’ve discovered a lot of shocking facts about history and Christianity...or have you? Award-winning investigative journalist Richard Abanes takes you down to the murky underpinnings of this multimillion-copy blockbuster that has confused so many readers. > The Code: Jesus was married to Mary Magdalene, whom he named leader of the church before his death. > The Truth: This fantasy has no support even from the "Gnostic gospels" mentioned in the book, let alone from the historical data. > The Code: Since the year 1099, a supersecret society called "The Priory of Sion" has preserved knowledge of Jesus and Mary's descendants. > The Truth: Today's "Priory of Sion" was founded in the early 1960s by a French con man who falsified documents to support the story of Jesus "bloodline." 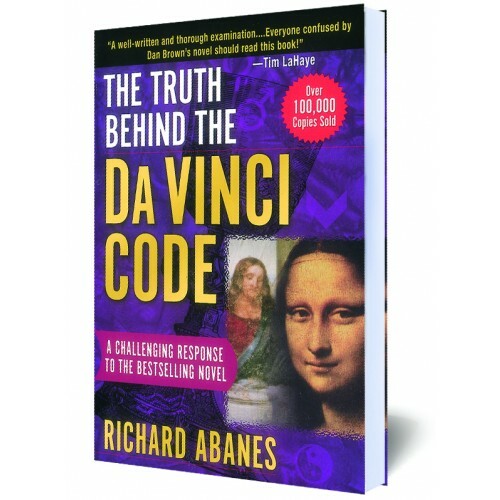 > The Code: As a "Priory" leader and pagan goddess-worshipper, Leonardo Da Vinci coded secret knowledge about Jesus and Mary into his paintings. > The Truth: Da Vinci had no known ties to any secret societies. Any obscure images in his paintings likely reflect his personal creativity. Probing, factual, and revealing. The Truth Behind the Da Vinci Code gives you the straightforward information you need to dig through the fiction and unearth the facts.